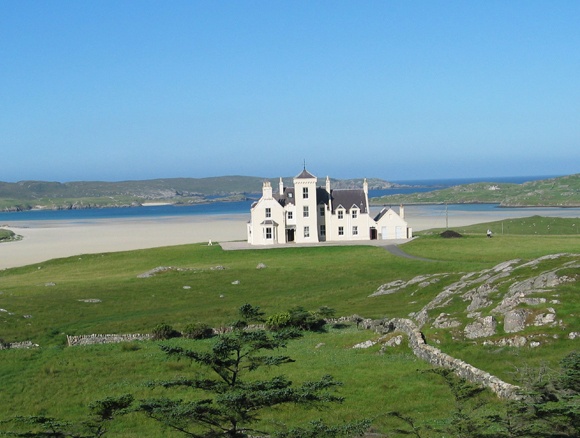 Uig Lodge was described by Lord Leverhulme’s niece, who was given the lodge by him as a wedding present, as having a “scene which surely has few equals in all Britain for sheer breathtaking loveliness”. It is hard to argue with this statement. 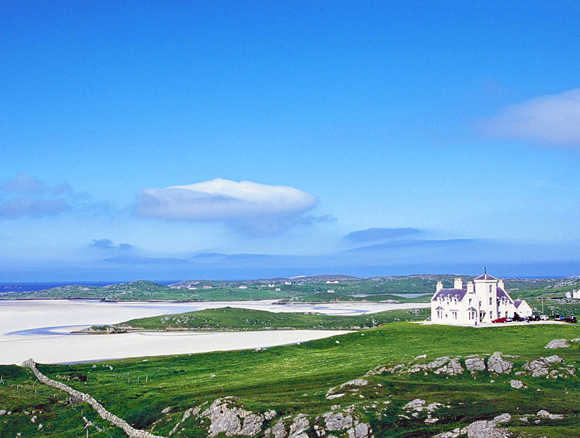 Uig Lodge is set in a spectacular position overlooking, but with easy access to, the magnificent white sands of Uig Bay to the west and to the south the contrastingly dramatic views of the Harris hills. It is an ideal base not only for the experienced salmon fishermen, but also for ferox and brown trout enthusiasts owing to the numerous hill lochs nearby, in addition to the Fhorsa system itself. Sport at Uig is overseen by Kenny Mackay whose family have had an involvement in Uig Lodge for over 50 years. Loch Suainaval, about 3 miles long, is the headwater of the Fhorsa system and fishing from an estate boat provides salmon, ferox and brown trout. From there the river runs into Loch Slacsavat where salmon and brown trout can be fished from the bank or 2 boats. From the bank the river is then fished down through 15 named pools, 7 of which are tidal, to the sea and the renowned Bruton Stream providing one of the few opportunites to catch salmon and sea trout in salt water. Many of the tidal pools are ideal for beginners wishing to catch an estuary trout. The river is at its best when in spate but large numbers of fish can build up in the estuary in periods of low water. 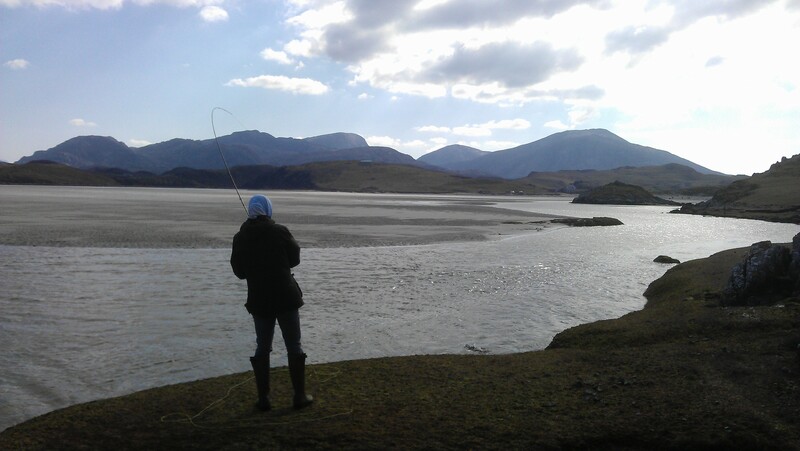 Fishing on the lochs is most productive in a good wind. Given water the first fish will run the river in June or even earlier but it is after the first spates in July that fish numbers start to build. 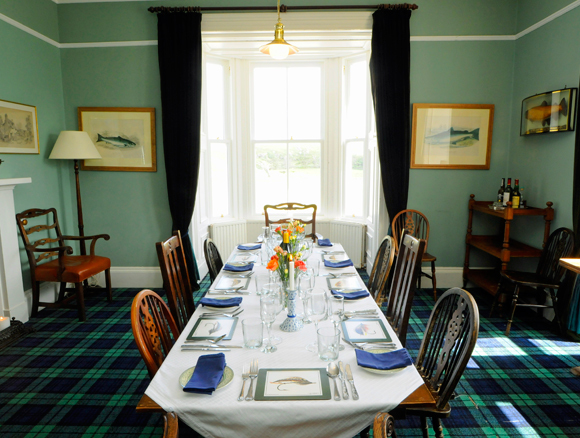 The resident ghillie can also organise sea trips on the estate’s RIB whether to fish for mackerel or for exploring the coast line and lagoons, weather permitting. Recent catches of over 100 salmon, 50 sea trout & 400 brown trout make Uig a tremendous all round fishery complimented by a lodge in a fabulous situation. 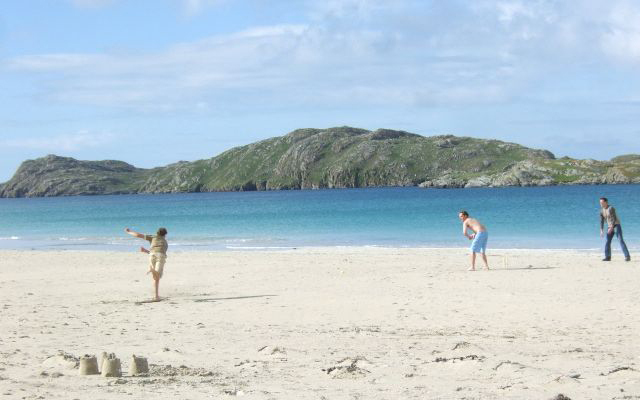 trips to the Callanish standing stones, brochs, tweed mills and speedboat trips to St Kilda are other popular outings making the lodge a perfect base for a memorable Hebridean holiday. A nine-hole links golf course, recently renovated, provides sport of a different kind for guests of all ages. For salmon and sea trout on the lochs and rivers of Lewis and Harris a 10ft 7 weight is the ideal tool. The same rod can be pressed into service on the brown trout lochs although this is often ‘too much rod’ and a 9 ft 5 weight might be more appropriate. A light double hander would not be out of place fishing the Bruton stream. 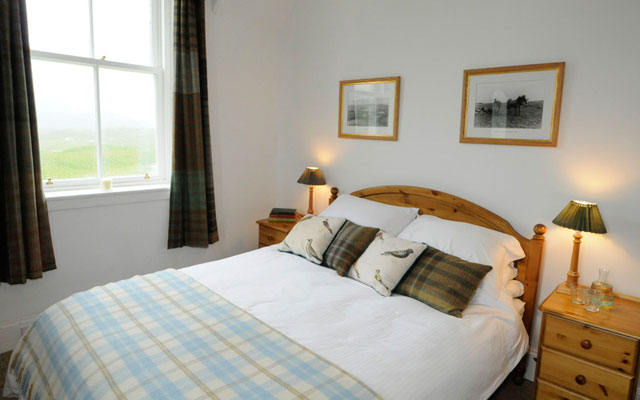 The lodge has recently been refurbished and is extremely comfortable. 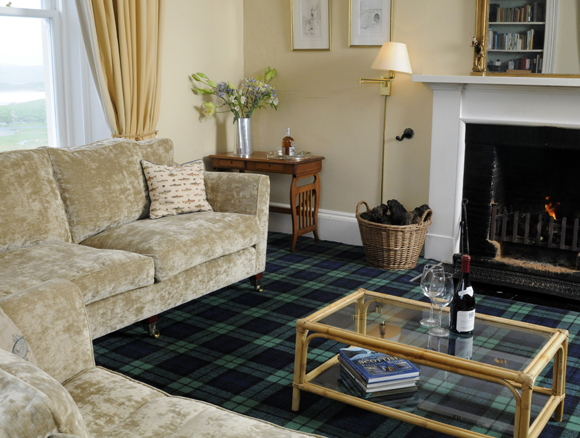 It includes a sitting room with an open peat fire, dining room capable of seating 18, a rod room/ 2nd small sitting room, laundry room, drying room, and a large newly updated kitchen. 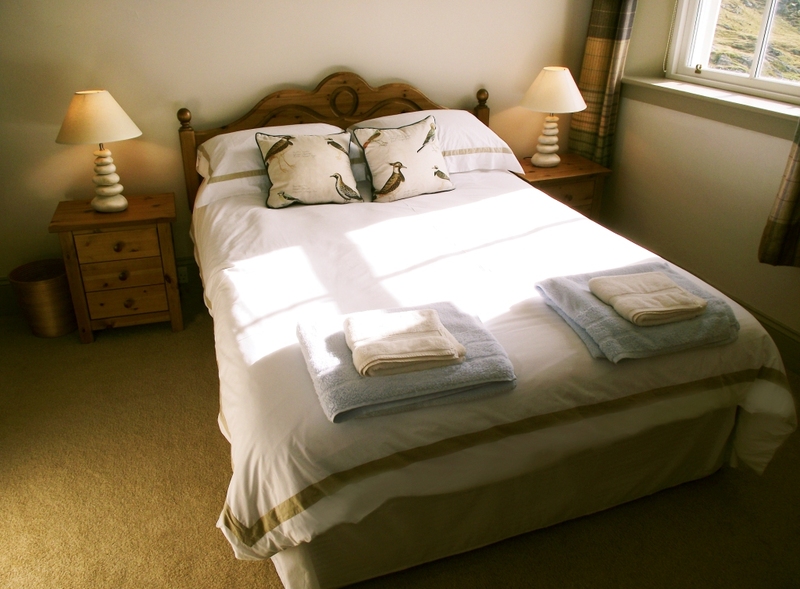 Upstairs are 3 double en-suites, 4 twins and a single sharing 2 bathrooms. 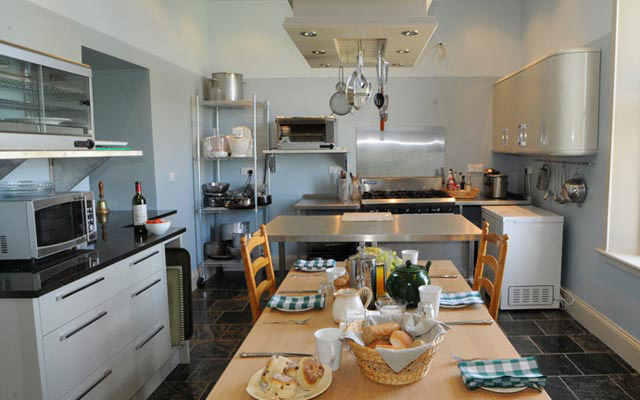 The lodge is let with the services of a good cook, but can also be taken on a self-catering basis.